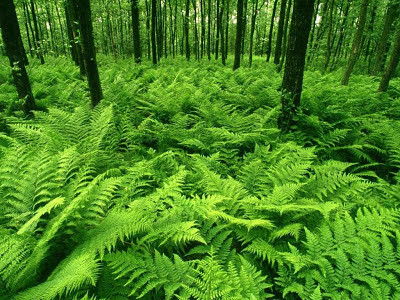 We are having a GREEN Challenge this week at Papercraft Star. I went green with a Spring/Summer card. It is still a few months away from spring here in Wyoming....but at least I can stamp green! 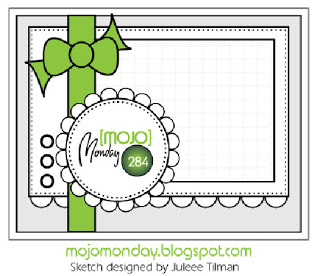 Here is a look at the inspiration photo, which is use if you choose..
My card is based on the sketch this week at Mojo Monday, love all of the layers! I rotated the sketch to fit my stamp design. My main panel includes only one stamped image....I sponged in the background to complete my spring scene. 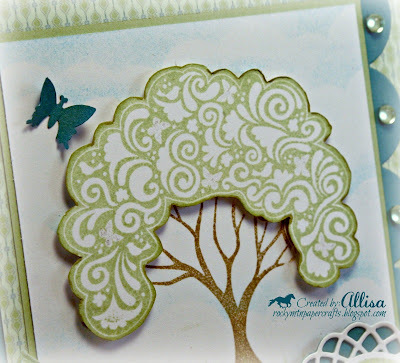 My clouds were created with the help of a scallop border die. The grass border is sponged on with the help of an icicle die turned upside down. Added in a few more layers to highlight my sentiment. I kept the inside plain for now. 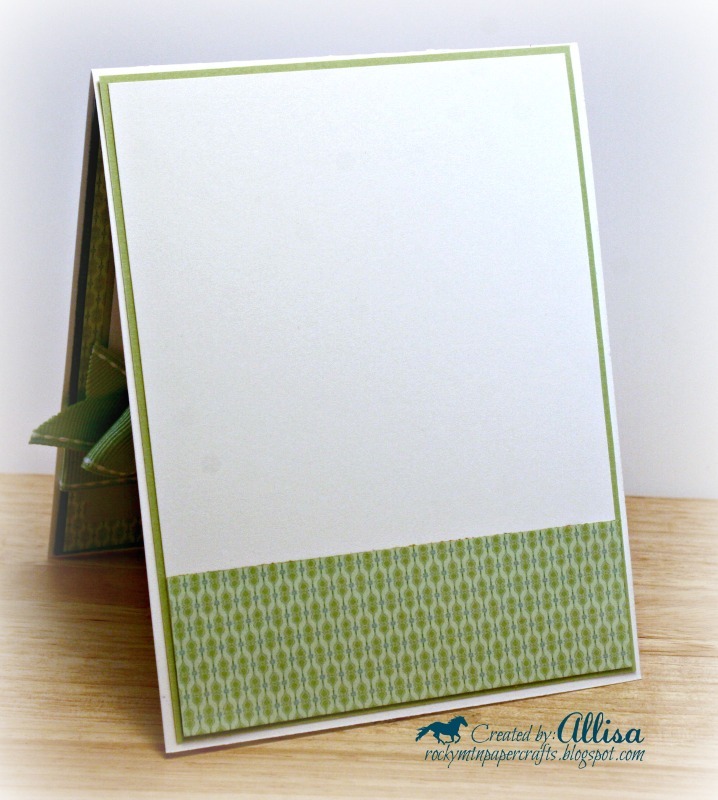 I like the flexibility of being able to use my cards for note cards or to add a stamped sentiment at a later date. Thanks so much for stopping by! 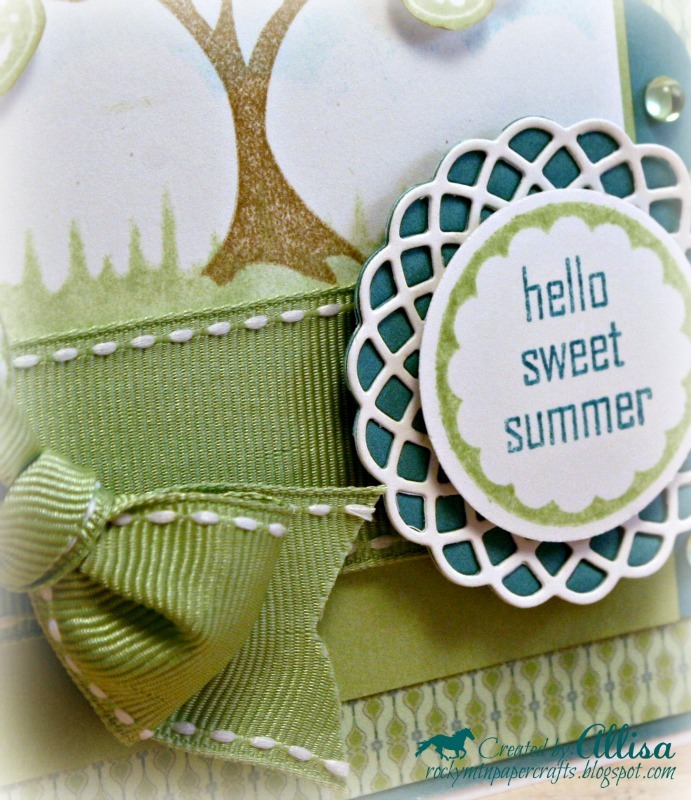 Hope to see your green creation at Papercraft Star! If you complete your green creation with Close To My Heart products, you can also link up at Heart 2 Heart Challenges! This is beautiful!! What a fabulous tree that is ... never seen this before ... and perfectly put together! Fabulous card, Alissa, I think your best, love your tree. Have a fun Wednesday! This is so pretty - love the bow!! LOVE this stamp set and love what you've done with it! ALWAYS awesome! Always love to see this stamp set in use! Just beautiful! 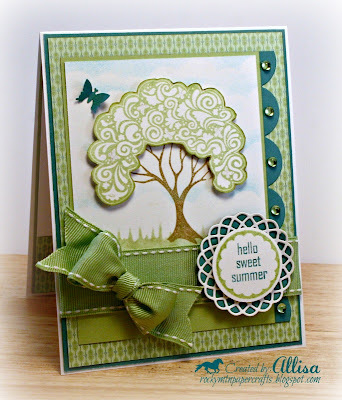 wow, what a fabulous design, I love the colors you used and the tree is so great. Thanks for playing with us over at Loves Rubberstamps!!! WOW, this is FAN-TAS-TIC! Great idea for a card, love this view. Thank you for joining us at the Celebrate the Occasion challenge and hope to see you back again. Beautiful ribbon! I can see you how hoard it. But, I also love your creative use of dies...turning them upside down, using them for clouds. Great job! Thanks for playing with us at Use It Tuesday!! So beautiful! Thanks for playing @ CTO! What a sweet card. I love the dimensional aspect of your tree. Thanks for joining us at Twisted Tuesday Challenges. Very cute card. Your layers are great and I really like how you highlighted the sentiment. Thanks for joining us at Twisted Tuesday! Beautiful Spring card - colours are lovely. That tree is so pretty! Your card looks amazing! I love all the little added touches! 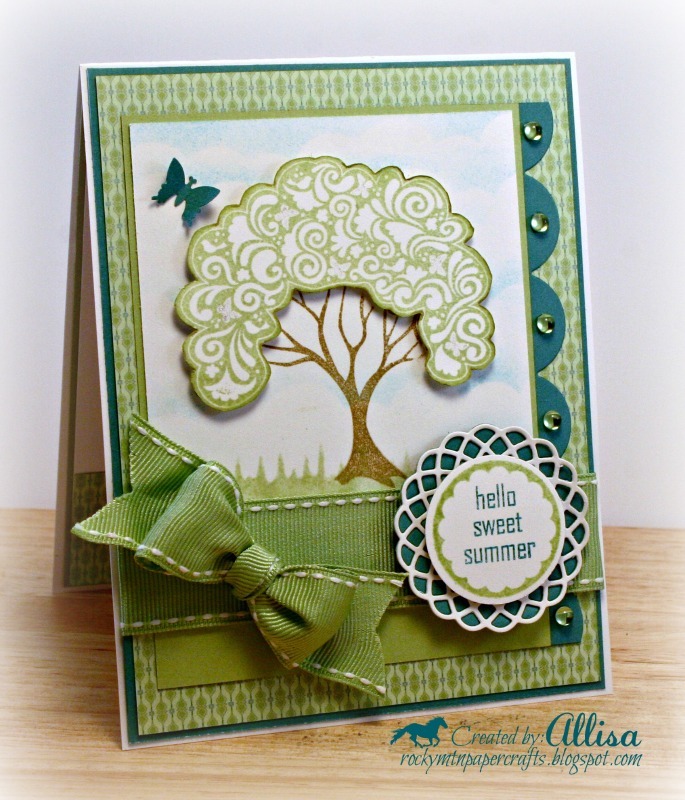 This is perfect spring card!I love this tree :)Thank you for joinig us at Card Mania!Good look! Simply gorgeous. Thank you for joining in this week's Crafty Sentiments challenge. MFT stands for My Favorite Things, you can find them at mftstamps.com. Watch out though, you will not be able to stop at one set!